In this autoimmune disorder, the body’s own immune system attacks thyroid tissue, leading to reduced thyroid hormone. The thyroid may be surgically removed or chemically destroyed as a treatment for hyperthyroidism. Cold and sinus medicines, the heart medicine amiodarone or certain contrast dyes given before X-rays may expose you to too much iodine. You may then be at greater risk of developing hypothyroidism, especially if you have had thyroid problems in the past. This drug has also been linked to hypothyroidism. Left untreated for long periods, hypothyroidism can bring on a myxedema coma, a rare but potentially fatal condition that requires immediate hormone injections. A hypothyroid infant is unusually inactive and quiet, has a poor appetite and sleeps for excessively long periods of time. 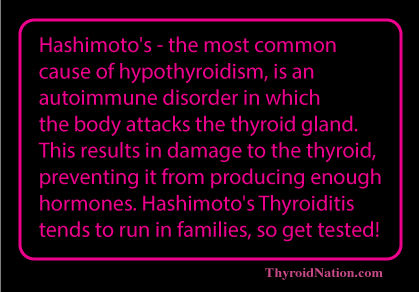 This is an autoimmune condition and is the commonest cause of an overactive thyroid gland. Nodules develop in the thyroid gland and begin to secrete thyroid hormones, upsetting the body’s chemical balance. Some goitres may contain several of these nodules. This is where inflammation of the thyroid causes the gland to ‘leak’ excess hormones, resulting in temporary hyperthyroidism. The condition generally lasts a few weeks, but it may persist for months. In rare cases, hyperthyroidism can also be due to these causes. Cancer of the thyroid gland is quite rare and occurs in fewer than 10% of thyroid nodules. 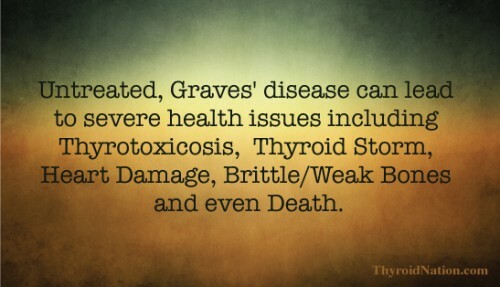 You may have one or more thyroid nodules for several years before they are determined to be cancerous. People who have received radiation treatment to the head and neck earlier in life tend to have a higher than normal propensity for developing thyroid cancer.